Dr John Anthony Roberts QC CBE who has died, age 88 was a man credited with many firsts, the most notable being the first person of African ancestry to be appointed by the British Government to serve as a High Court Judge of the Supreme Courts of the British Virgin Islands, and Anguilla, British West Indies in 1992. 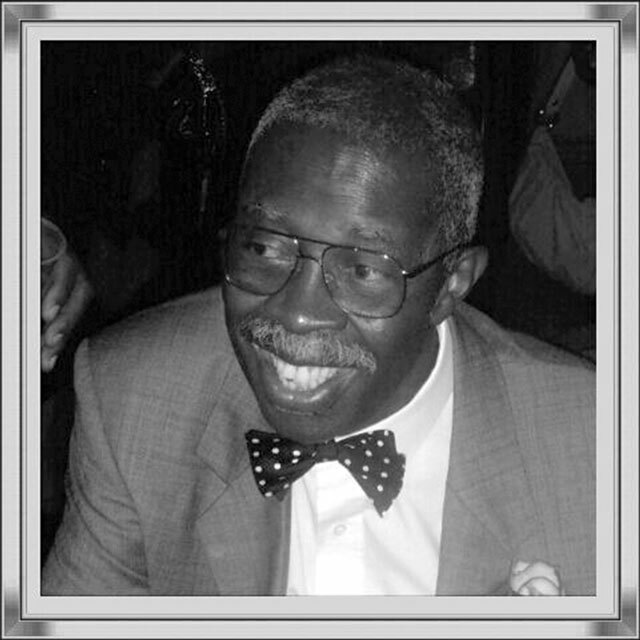 Born in Sierra Leone on 17 May 1928, Dr Roberts was a keen pianist, organist, guitarist and choir singer, who was passionate about helping people. So eager was he to serve his people that he is reputed to have been the first Head of Chambers to allegedly accept seven female barristers all at once, unheard of in 1975. Many regarded Dr John Anthony Roberts QC CBE, the first person of African ancestry to be made a Queen’s Counsel in England and Wales, as a modest humble man that refused to push himself forward. However many are of the view it was this attitude coupled with his unparalleled self-belief that enabled him to achieve the distinction of being the first known person of African ancestry to be the Head of his Chambers in England and Wales. His Chambers at 2 Stone Buildings was fully representative, mixed and diverse with Asian, white and African and Caribbean members; Dr Roberts jocularly remarked at a special event held in his honour at the House of Commons in 2007 that at one point there were more white staff than ethnic on his team. In his earlier life Dr Roberts, great grandson of first President of Liberia, Joseph Jenkins Roberts pursued a career as a pilot with accounting qualifications serving in the British Royal Air Force (RAF). Here he was posted to Europe, the Near East, the Far East and the South Pacific as part of his aircrew duties until 1962. When not on duty Dr Roberts was an avid boxer and sprinter. Immediately following foreign service he was invited to serve in the Sierra Leone Civil Aviation Service by the then Prime Minister of Sierra Leone, where he worked in the Air Traffic Control Services Department until 1964. Following his marriage in 1961 to Jamaican, Eulette, the couple bore a son Tony before they returned to the United Kingdom where Dr Roberts worked as a Civil Servant between 1964 and 1969, during which time he read law part time at the Inns of Court School of Law, affirming his love for helping people. He was called to the Bar (Gray’s Inn) in 1969, becoming a Master of the Bench in 1996. In 1972 Dr Roberts became a Member of Lincoln’s Inn. In addition to the English Bar, Dr Roberts may have set a record by being called to the Bars of ten other countries including: Jamaica (1973), Sierra Leone (1975), Trinidad & Tobago (1978), Bahamas (1984), St Kitts & Nevis (1988), Antigua (2002), Barbados (2002), Bermuda (2003), Anguilla (2006) and Grenada (2007). In recognising his many accomplishments, Dr Roberts has not only distinguished himself as a legal maverick but has made the African Caribbean community extremely proud by being the first person of African ancestry to be made a Recorder of the Crown Court in England and Wales. Dr Roberts, in keeping with his desire to empower his people accepted the role of Bencher of the Council of Legal Education in Sierra Leone in 1990; and tutored on Advocacy for a period between 1990 and 1992 at the Inns of Court School of Law in London. As a means of remaining active Dr Roberts served as a former President of the British West Indian Ex-Servicemen and Ex-Service Women’s Association along with serving as a former joint President of the British Caribbean Association, UK. Other accolades accorded to Dr Roberts include being made an Honorary Citizen of Atlanta, Georgia, USA in 1991; a Freeman of the City of London in 1996; an Honorary Citizen of the British Virgin Islands in 2000; and then receiving an Honorary Doctorate from City University in 1996.Dr Roberts also served as a fellow of the Chartered Institute of Arbitrators and sat as an arbitrator and a door tenant at Warwick Court Chambers for some years. Arguably the crowning achievement was being awarded: Commander of the British Empire (CBE) in the New Year’s Honours in 2011. Dr Roberts was given this award for the Administration of Justice, Diversity and Equal Opportunities.